I have spent the last 30 years in selling and marketing, the last 25 of which have been in the property business. During this time I have been fortunate to learn a lot of lessons, mainly by making costly mistakes and I would like to pass on to you my experiences so that you may benefit from them. There are a number of things everyone wants when they buy a property to let. And of course a constant rise in the capital value of the property. Alongside this list of wants is a much longer list of fears, some of which are founded on truth and fact and some on ignorance and assumption. Everyone dreads the bad tenant who won’t pay, or worse still, won’t leave. If you take the worst case scenario they also trash your property and steal your belongings. Ending up with a sitting tenant. The list is not endless but it is long. What is needed is to get a perspective on the problem, after all not all these issues will be important to you, once you get things in perspective you can way things up and decide what you want to do. Or even jump in and buy a property just to rent out. Background to the market and legal basics including the Housing Act 1988 and the Assured Shorthold Tenancy. Characteristics of the ideal property to rent including an example of possible rental returns over ten years with a mortgage. How to maximise your returns and minimise your expenses. To reassure you before you start to read further, I would like to tell a little story which I think highlights the best attitude to take when looking at this whole intimidating subject. As everyone knows, crocodiles are large fearsome creatures so if you want to catch one you have to follow the rules really carefully. If you want to catch a crocodile the first thing you have to do is to go where the crocodiles are. 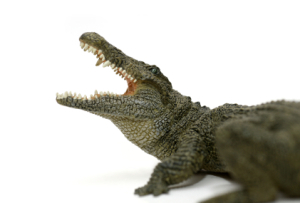 (We know a lot of estate agents and marketing people who haven’t worked that one out yet) Crocodiles as we all know live down at the swamp, so if you want to catch one you have to go down to the swamp, but before you set out you must make sure you take the right tools. What you need to take with you if you want to catch a crocodile is a blanket a pair of binoculars, a pair of tweezers and a match box. So making sure you have remembered your tools you set off down to the swamp. When you get there you go down to the edge of the swamp and you spread your blanket out on the ground. You take your tools and you carefully lay them out, then you lay down and go to sleep. So you see nothing is impossible and with the right approach it is possible to simplify the hardest task and make it seem easy! Background to the market plus legal basics. (Including the Housing Act 1988 and the Assured Shorthold Tenancy). Lettings is a business whose time has come. We would be delighted to show you some statistics about the growth of the lettings market since 1988 but better still, ask for an old copy of your yellow pages. Look under the accommodation and property management section and compare how many companies are advertising lettings services then with the latest edition. You will see for yourself how fast the market is growing. Q: Why has there been such dynamic growth? A: Consider these statistics. In 1992 approximately 70% of households in England and Wales were owner occupied and only about 7% were in the privately rented. That means for every 1% decline in home ownership there must be a 10% increase in the rented sector. With the decline in council and social housing the great majority of this growth will go into the private sector. This means a 10% decline in home ownership leads to a 100% increase in rentals. The dynamic growth of the lettings market is due in the most part to two factors. Firstly to the housing act 1988 that changed the law relating to letting a property privately. Before this act it was not possible for a private landlord to regain possession of their property once it had been let to a private tenant unless the tenant agreed. Since 1988 landlords have been able to regain their properties by using a new form of lease called an assured shorthold. The second reason for the growth in the market was the long term decline in real property values that occurred after 1988, particularly at the bottom and middle end of the market. Many first time buyers were caught in negative equity, with un-saleable properties and no alternative but to rent them out if they wanted to move. Despite the subsequent recovery of the market and low inflation with the high price of property today it is not surpassing that young people today are cautious about purchasing despite low interest rates. They would rather retain the flexibility and mobility offered by the rented sector and avoid the risks and costs associated with buying. Q: Will the market become saturated? A: the lettings market, like all markets with no barriers to entry, will become saturated if more players move into it than can be supported by demand. It is conceivable that we will see another property boom and a race to buy which could undermine the rented sector, this scenario does however seem unlikely in the foreseeable future. As far as the landlord is concerned any boom in the housing market can only be good news because it would bring with it an increase in prices which would compensate for any lost rental income. It may seem irrelevant to you to consider the characteristics of the ideal rental investment, especially if you already have a property and can do nothing about it. This is far from the case, this model can help enormously in preparing your property to let and will help you to maximise returns and minimise problems. Here are some of the criteria to examine. An ideal property to rent would probably be a studio flat near to town centre, less than 10 years old, in good condition and I would offer it fully furnished. Now you have to remember I am not giving you mortgage advice here and you have to understand that there are expenses and risks involved with buying and selling a property that I am not adding in. Interest rates can go up and there can be unforeseen expenses so always take advice before doing any thing. That said, consider this, the power of leverage. If you bought a studio flat for £80k, borrowed £60k, put down a £20k deposit and paid an interest only mortgage at say 6% your mortgage would cost £3600pa. If you received rent of £6000pa then your gross profit before any expenses would be £2400 or 16%! Of course it is conceivable that prices could rise over the next say 5 years. If they do rise and the flat is worth say £100k in 5 years time then in addition to the fantastic rental return you would also have seen your capital grow by 100%! Why? Because you only put down £20k in the first place! Carefully research, evaluate and analyse the market before you buy, educate yourself before you make a decision and seek help if necessary. There are many sources of property, private sales, auctions, developers and agents, remember over 90% of all property is only available through an agent and building up the right contacts is crucial to success. Once you have made your decision follow these guidelines. It is impossible to say exactly what a property needs to maximise its letability without seeing it but there are some general rules. Decide whether to furnish or not. If you furnish you will not necessarily get more rent but you will find replacing tenants easier and therefore reduce the likelihood of gaps. Furnished or unfurnished the property should be tastefully decorated and above all clean and tidy for when tenants view. At this point I want to draw you attention to something I just can’t emphasise too much. The condition and presentation of your property prior to let will determine more than any other factor, not only the return you get but also the likelihood of running into problems mid-let. Horrible unreliable properties attract horrible unreliable tenants; it’s as simple as that. This means asking for the right rent, not too much as this will put tenants off, not too little as this will mean a lower return than you should achieve. Expose the property to the market, this means advertising in the right place. It may be that you can get a ready supply of tenants from the local paper. Remember most companies will look through agencies and rogue tenants who are known to agencies or would not pass there reference procedures will look privately. It is no good taking out an advert and not being available to deal with the response. Tenants are usually in a hurry and do not generally call back, if they cannot see your property right away, they will not come back. It is so easy when letting privately to get into trouble by cutting corners either deliberately or through ignorance. You have to do everything a good agent would do to manage your property if you are to have any chance of maximising the potential of your property and avoiding big trouble. Many private landlords sail along merrily not knowing the risks they are taking or the consequences if things were to go wrong. Above all know your own limitations! Do not be afraid or embarrassed to seek advice. Do not cut corners even if it means more initial expense, a stitch in time almost always saves nine in lettings. If you have the time, expertise and desire to let your own property, fine. If not then leave the job to people who do. Because an agency deals with lettings every day they should be familiar with all the pitfalls and effectively pay for their own fees in the long run. Before taking your property onto the market the agent should provide you with written information about their fees and charges and give you a guide to their services. They should discuss with you the type of tenant you would accept and the length and type of tenancy you would like. They should advise you about preparing the property to let and help you decide whether to go the furnished or unfurnished route. They should check to make sure furniture in the property meets the fire regulations and ask for a recent certificate to show the boiler has been serviced by a qualified person. They should be able to advise you about the likely rent you will achieve and reassure you about the local market. If you are going abroad they should be able to explain the tax implications and give you the correct form for you to send to the Revenue. They should be able to answer basic questions on tax and accountancy matters and refer you on to a professional if you need more information. Once you have agreed to market the property the agent should obtain you written authority to act and this should include confirmation of the fees agreed. Depending on the type of property and the local market conditions the agent should prepare a description of the property, including a list of what will be left. Take photos if necessary and obtain a set of keys where possible so that accompanied viewings can be arranged. The property should be advertised and added to their mailing list and phoned around to current tenants by a negotiator. Once a tenant has been found and an acceptable offer made the agent should take a non refundable deposit to ensure the tenant is serious and start to take up references. These references are crucial. The best approach is for the agent to go through a third party professional referencing company. This means that they cannot be influenced by the desire to let the property and earn their commission. It also means you will get thorough references which should include bank, employer, personal, existing landlord or lender, a search of the voter’s role and a credit check for CCJ’s giving an overall credit score. If you want you should be able to meet the tenants before giving the agent the go ahead to let. It is important to tell the agent if there has been any change of plan, or if anything relevant crops up straight away. The agent should hold a security deposit to cover damage or losses other than fair wear and tear and unpaid rent. The larger the deposit the more security you have, we normally obtain one and a half months rent. An inventory should be prepared prior to the tenant moving in to show the condition of the property and its contents. This should be agreed by both parties either before or shortly after move in. Agreements should be prepared and notices given out in the proper way. All documentation should be signed and in proper order before handing over the keys. During the first three months of the tenancy the property should get a physical inspection at least twice. If the tenants are considered trustworthy, further visits can be spread out depending on the situation. There should be at least one physical check every six months. Rent should be collected by standing order from one account and passed on to your bank by an automated pay system. You should receive a statement each month showing all income and expenditure. 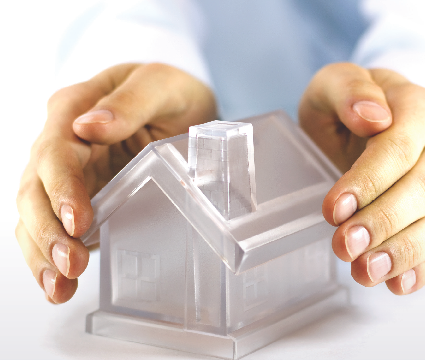 Any problems occurring during the tenancy should be handled in the first instance by the agent. You should be kept informed at all times and your permission sought before money is spent unless there is a pre agreed limit in place. If things go wrong the agent should be able to provide help and advice but they will not be responsible for unpaid rent or the actions of rogue tenants. Although they are working for you they have a duty of care towards the tenants and must act fairly and impartially in the event of a dispute.